Meet Lady D’s Phantom “Princess” of Paradise. 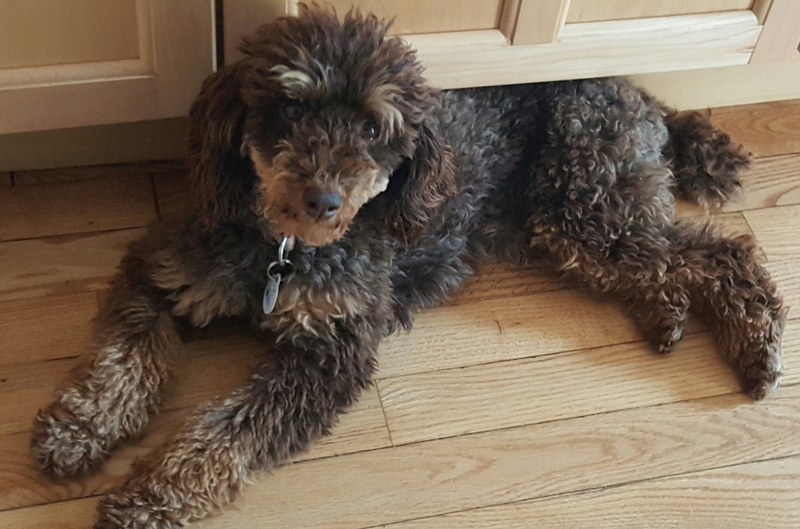 Princess is a chocolate phantom miniature poodle. She is 14.5 inches high and weighs 10lbs. She is the sweetest little girl. She is health tested for hips, elbows, eyes, heart, patellas, PRA-PRCD, DM, NEwS, and vWD1. Her color code is bbEe, atat, kyky.